Addiction to opioid drugs like fentanyl and oxycontin has become a bigger killer than guns or vehicle accidents and the problem is getting worse. 64,000 Americans died in 2016, up from 33,000 in 2015. The problem has not been quantified accurately until very recently when the Centers for Disease Control and Prevention (CDC) started including opioid deaths as part of their statistics. The fatality rate is only the tip of the iceberg as the scale of misery is far larger than the death rate would indicate. Most deaths are from overuse of opioids by people who have become addicted to them, either directly or indirectly or through infections caused by using dirty needles. But how did the opioid crisis get to the point where President Trump has declared it a “public health emergency” and who is responsible? Illegal narcotics suppliers, within the U.S., Central America and Asia who have latched on to the addicted opioid user market and have been largely responsible for the illegal supply of opioids, once addiction has set in. 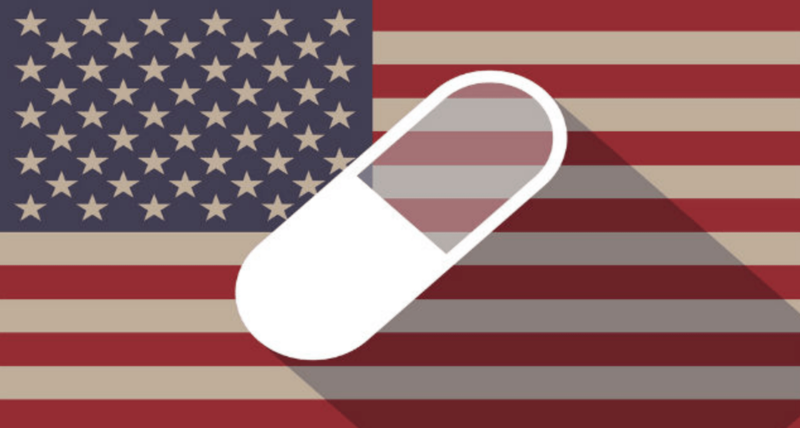 The nature of the U.S. health system, which favors private insurance and the prescription of drugs, especially pills, rather than taking a more holistic, yet more expensive pathway favored by health systems in other parts of the developed world, such as Canada and Western Europe. The multifactorial nature of the opioid crisis has made it particularly hard to deal with. The rapidity of the spread of opioid addiction has taken state and federal health agencies by surprise with a late and so far inadequate response so far. The Trump Administration, for example, has failed to announce a “national emergency” with regard to opioid addiction, a move that would have seen federal funds directed towards a more co-ordinated response. The opioid crisis began in a small way back in the 1990s when drug manufacturers started to make available more powerful opioid drugs such as oxycodone. Painkillers like morphine have been used for many decades, but the new derivatives were proved to be much more powerful. Oxycontin was one of the successors to oxycodone and fentanyl, an immensely powerful drug was next. Only 2mg of fentanyl are needed to kill an adult, such a small amount that drug enforcement investigators have been warned to use protective gear if looking for fentanyl use. Some doctors and drug manufacturers such as Purdue Pharma have been accused of giving false information about just how addictive these opioid drugs are and downplaying their potential long term effects. Personal injury lawsuits against pharmaceutical companies like Purdue Pharma are ongoing, but have faced problems when brought as individual actions. Part of the problem is the fact that the Federal Food and Drug Administration (FDA) did not act on opioid regulation until very recently, when guidelines about oxycodone were released. However, it is a possibility that class actions brought about by hundreds of addicted claimants together with tougher action by state and federal authorities may seem may start to turn the tide. It is certainly about time. It has been estimated that 200,000 people have died of opioid addiction since 2000 and a further half a million may die within the next ten years without serious attention to the crisis. If you have a case involving issues related to opioid drugs, Med League can help you locate a well-qualified addiction expert. Contact us today!